A very delayed post, I am very sorry. I have been super busy with work, getting organised for Christmas and attending blogging events. I think now is a good time to agree that time organising my time is a good new years resolution. Anyway, a couple of weeks ago I was invited to attend a bloggers' event at the Cambridge Satchel Company on George Street, Edinburgh. It is a pop up shop which will be there for 4 months and it is fabulous! I urge if you are ever in the city then make sure you visit it. Keeping to true Katie tradition, I was late. Almost an hour late. Whoops. But there was some bubbly which made it better and everyone was still there. 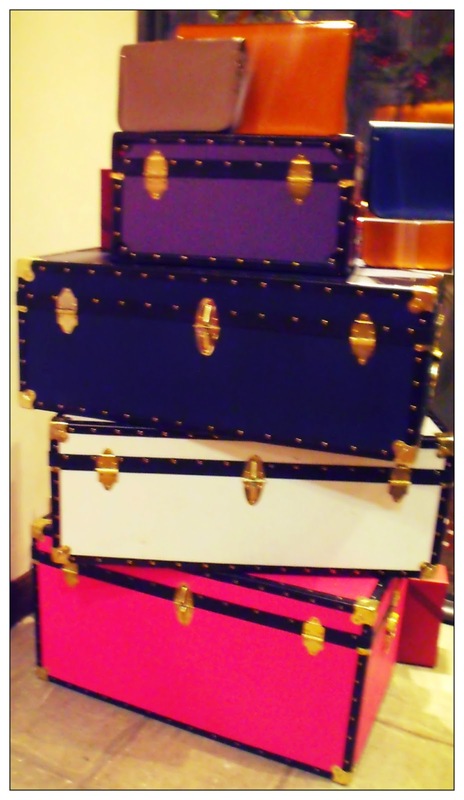 It was great to see those wonderful satchels up close. I have always admired good quality in clothes, shoes and handbags and visiting the pop up shop means I simply must save for a wee satchel. There are so many colours and designs, I don't know how I'll decide. What I loved about the shop is that they are in charge of their own stock and had limitted edition tartan style satchels and a trunk with a Harris Tweed cover. They were beautiful! 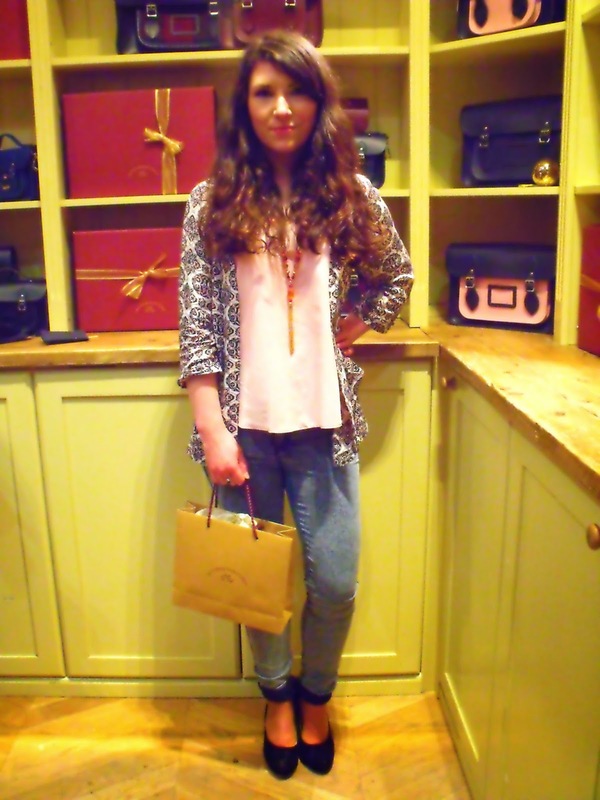 I was even lucky enough to meet the founder of The Cambridge Satchel Company, Julie Deane. She admitted that she was nervous about opening a new shop which reminded me that, really, anyone can open a shop. She was a just a normal person who was dedicated, persistent and lucky. As a wee gift, we were given a personalised leather keyring with our initials. They are offering this service to everyone so it's a great wee touch for Christmas pressies. I was so inspired by Julie Deane and I wish her and the store all the best. 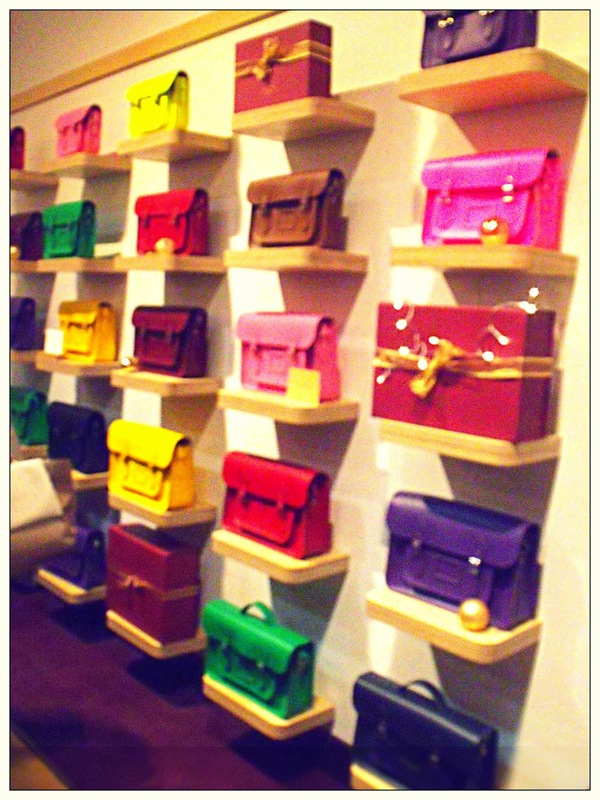 I really want a Cambridge Satchel Company satchel but they are so pricey! It doesn't stop me pining after one though!